Zhenzhong Chen received the Ph.D. degree from the Chinese University of Hong Kong. He is currently an ERCIM fellow at INRIA, Rennes, France. He was a recipient of Microsoft fellowship. 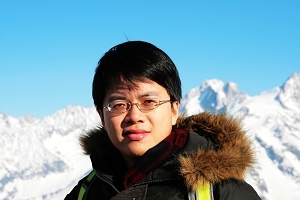 His current research interests include image/video signal processing, visual perception, and multimedia communications. He is a member of SPIE and IEEE. Reviewer of IEEE Transactions on Multimedia, IEEE Transactions on Circuits and Systems for Video Technology, EURASIP Journal on Applied Signal Processing, Signal Processing: Image Communication, the Journal on Visual Communications and Image Representation, Optical Engineering, several international conferences (ISCAS, Globecom, Packet Video, ICIP, EUSIPCO, etc. ).